Home > lee bross > Today I Have the Fabulous Gwen Hayes in the House! Today I Have the Fabulous Gwen Hayes in the House! I’ve known Gwen for several years and had the honor of being a beta reader back in the day before she became all famous. ;) And I've been a rabid…errr…avid fan since I read that very first time-traveling WIP. 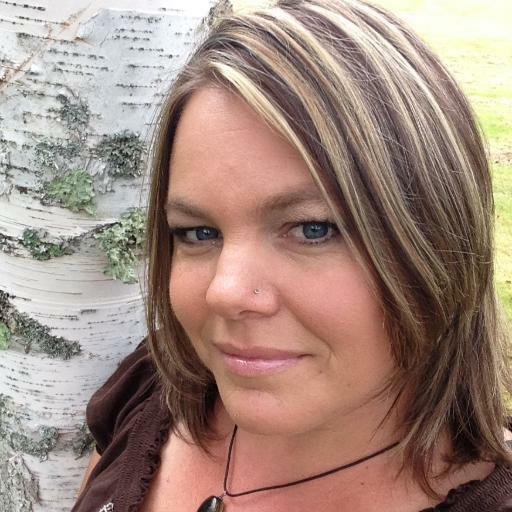 She is one of those writers who spins magic with her words and you can't help but fall in love with her characters. Okay, so you pre-ordered it, now take a minute to stare and drool over her insanely gorgeous cover. I mean, isn’t this cover the end-all-be-all of covers? Now, stop drooling and pay attention, cause Gwen answers my questions next, and you don't want to miss it. 2.) What inspired you to write Falling Under? I kept seeing snippets of conversations and scenes for it while I was writing another book and I had no idea what that was all about. I'd been writing a romantic comedy and Falling Under is the opposite of rom/com. It was driving me a little crazy. One night, I gave in to the story, opened a new document and wrote the first scene. Frankly, I've been haunted ever since. 3.) You sold FU very quickly, was it the first book you had written? No, I'd finished two romantic comedies first. And another paranormal during (I went back and forth between books). And several short stories. I still love writing short stories. But it was a short turnaround. 4.) On that note, tell me about "the call" when you learned your book sold. I actually didn't get "a call". I got a "pre-call" I guess. I got to speak to my editor before an offer was made. I, um, hung up on her about 5 times. Not even kidding. I'd just gotten a new Droid and my cheek kept ending the call. But when I finally got that ironed out, it was great to hear her ideas and thoughts about Falling Under. And she didn't dump me for not having basic communication skills. Bonus. 5.) Is there a sequel in the works? 6.) What is your process? I know you work an EDJ, so how do you find time to make deadlines without imploding? I have been given really generous deadlines. I write some in the morning and a little at night. If I'm writing new words, I shoot for 1k per day. I also play a lot of solitaire. I wish I could plot or outline, but instead I just take it as it comes. Sometimes that means out of order. 7.) Which part of the process, from writing to querying to selling to revisions, did you find hardest? I think querying/selling because that is so out of my control. Waiting is not my big talent. 8.) Haden, the LI in Falling Under, is totally hot, (And actually all your LI's are hot) how do you come up with what they look like/act like/etc? Is there a boy in real life who you use for inspiration? No. Sometimes, I "see" actors playing the roles of my characters, but they are usually teens from earlier decades. Haden isn't someone I've ever seen before. He's an enigma in more than one way. My heroes tend to be made up of the things I most admire in men. Of course they all have their flaws, Haden's are a little more serious than most, but their hearts are courageous. Favorite place to write? My couch. Toilet paper-over or under? Under (but really I don't care). 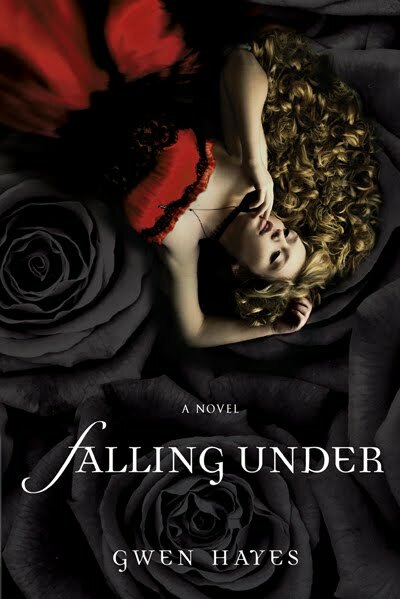 Thank you so much to Gwen for joining us here today and look for Falling Under available in March of 2011. Love, love the cover! Adding to my list to read :) Great interview. Great stuff! I'm not an outliner either. Awesome interview. And, heck yeah!, that is one awesome gorgeous cover. Will be on the lookout. That cover is stunning, and I cannot wait to read this! Great interview (we share favorite ice cream flavors and book taste haha). Thanks Gwen and Lee! I have serious cover envy, but I fell in love with Gwen a long time ago. I'll be first in line on release day. LOVE the Droid story! That is just classic. Thanks so much for a great interview, Gwen and Lee! 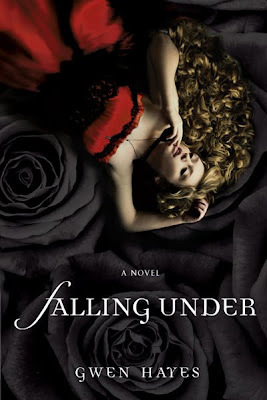 Yay-can't wait to read FALLING UNDER! Oh, this is a must have for me. The cover is ah-may-zing! Great interview. You had me on the hook. This has just zoomed to near the top of my 2011 TBR pile. Wow. The cover is gorgeous! I am definitely adding this to TBR list.